The Uttar Pradesh Cabinet passed the anti-organised crime Bill on December 13, following which, BSP leader Mayawati demanded its rollback. 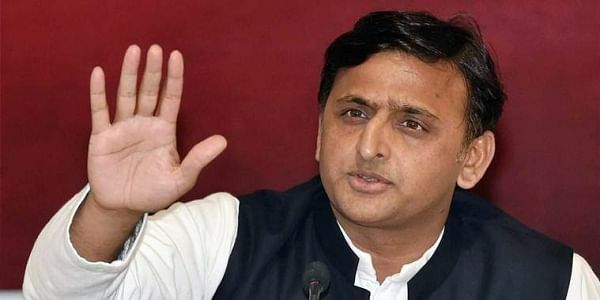 LUCKNOW: Samajwadi Party (SP) leader Akhilesh Yadav on Friday said the Yogi Adityanath-led government in the state was trying to threaten people by the UPCOCA (Uttar Pradesh Control of Organised Crime Act) Bill. “The present government in the state and at the Centre did nothing for Uttar Pradesh. I have heard they are trying to threaten people by UPCOCA,” Akhilesh said, while addressing the media. The former Uttar Pradesh chief minister was present at the event where the Bahujan Samaj Swabhiman Sangharsh Samiti (BS4) party led by the Bahujan Samaj Party (BSP) rebel leader, RK Choudhary, merged with the Samajwadi Party. The Uttar Pradesh Cabinet passed the anti-organised crime Bill on December 13, following which, BSP leader Mayawati demanded its rollback. She alleged that the Adityanath government was targetting the people of particular caste and religion in the name of curbing mafia and criminals. The UPCOCA was prepared after studying Maharashtra Control of Organised Crime Act (MCOCA) and similar laws in Gujarat and Karnataka.